What was the #1 answer? 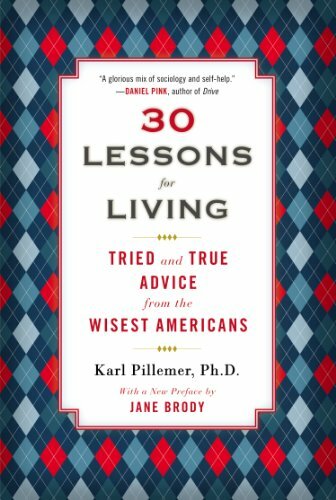 No offense to Karl. He did a survey. So he didn’t necessarily get the right answer, he got the most common answer. Life doesn’t have to be short. We all have 24hrs in a day. Every single one of us. You can use them to create something amazing, to visit that someone special who misses you desperately, to provide for your family, or to savor a great moment. But don’t waste your hours. Leave a trail of accomplishments or smiles behind you. On April 11, 2018, the price of gold in US Dollars was $1,370. This morning on July 19th, the price was $1,2110.90 for a decline of $159 in 99 days. 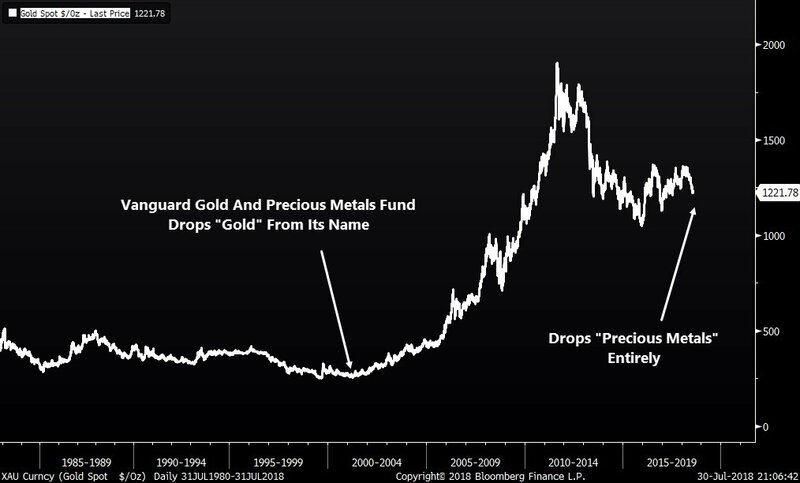 If current trends continue, then in 712 days or less than two years, the Gold price in USD terms will be about $0.00. The trend is your friend! The single greatest mistake investors make is to extrapolate recent history out into the future. 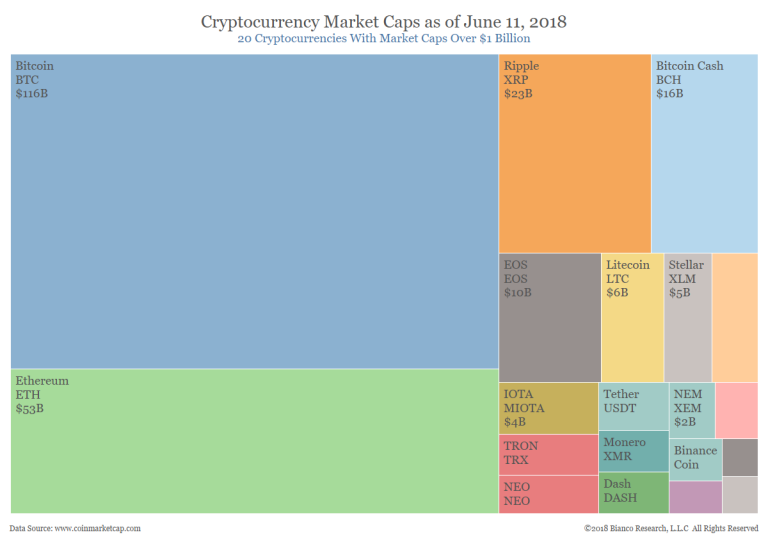 They take the financial returns of the past 5 days or 5 years or even 50 years and assume the next few days or years will look just the same without any consideration for the historical context or conditions that provided for those returns. They forget that, while ‘history may rhyme, it doesn’t repeat itself’ (Twain). Or that, “the only thing that is constant is change” (Heraclitus). These two famous quotes apply to the financial markets as much as anything. Ignoring these truths and instead simply extrapolating is why investors are suckered into pouring money into the stock market only after a run of great performance. 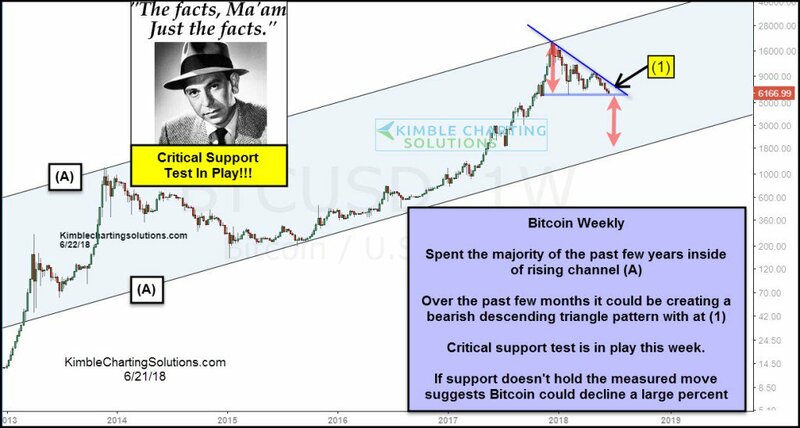 They believe that the recent gains are about to repeat to their great benefit when they should be thinking about what conditions allowed for those gains to take place and analyzing whether they are still relevant or not. 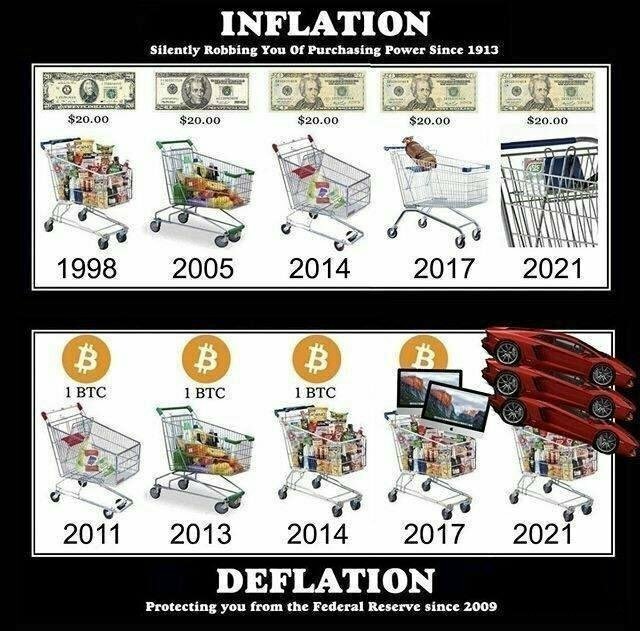 This is also why they are suckered into selling only after a painful decline as they did at the lows made during the financial crisis. They believe that they are about to suffer another 50% decline on top of the one they just endured when they should really be reminding themselves that change is the only guarantee in life. I believe this is one of the biggest problems with so-called “passive” investing. It is built upon the faulty premise that it is ‘impossible to forecast’ the future returns of any asset class over any period of time so we should just own all of them all the time. My response to this is that while ‘ignorance may be bliss’ it’s not a valid investment strategy. We’ve long felt that the only value of stock forecasters is to make fortune tellers look good. Even now, Charlie and I continue to believe that short-term market forecasts are poison and should be kept locked up in a safe place, away from children and also from grown-ups who behave in the market like children. However, it is clear that stocks cannot forever overperform their underlying businesses, as they have so dramatically done for some time, and that fact makes us quite confident of our forecast that the rewards from investing in stocks over the next decade will be significantly smaller than they were in the last. Much can be learned from this short passage. First, short-term stock market forecasts are, indeed, nearly worthless – essentially a guessing game. 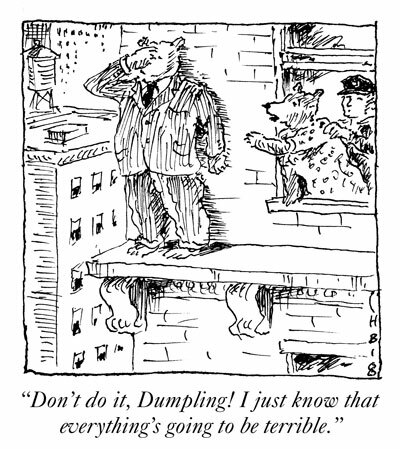 Second, long-term forecasts, on the other hand, can be made with ‘confidence.’ “How?” you ask. It’s actually very simple. Rather than fixate on recent history and extrapolate it into the future you must abandon this natural tendency. 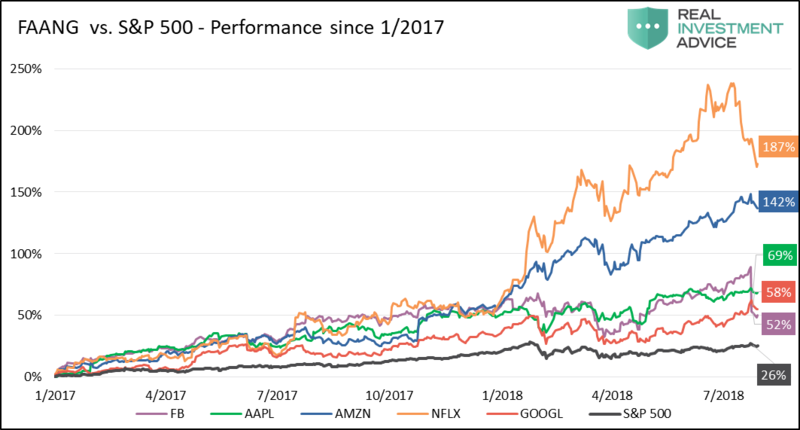 And as I said earlier you also need to analyze the conditions that allowed for those returns to see whether they are still relevant to today’s market. In Buffett’s example he’s referring to the wonderful returns equity investors experienced from 1982-1992. During that span investors roughly quadrupled their money. 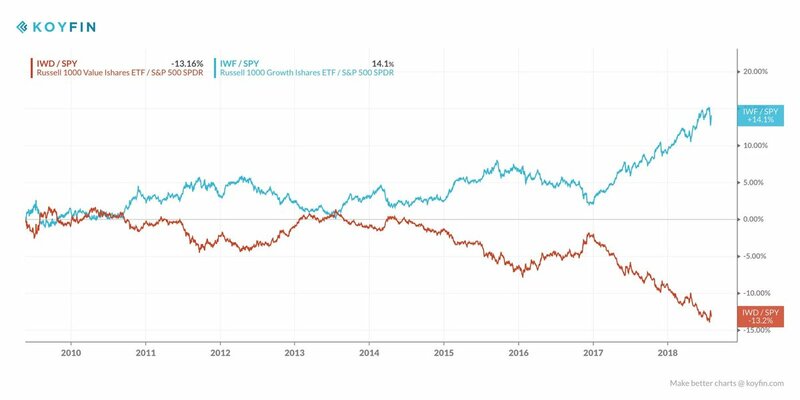 Over the coming decade they merely doubled their money so Buffett was right that the decade beginning in 1993 would fall far short of the return of the prior decade even if they were still very good. Today, staring fixedly back at the road they just traveled, most investors have rosy expectations. A Paine Webber and Gallup Organization survey released in July shows that the least experienced investors–those who have invested for less than five years–expect annual returns over the next ten years of 22.6%. Even those who have invested for more than 20 years are expecting 12.9%. Now, I’d like to argue that we can’t come even remotely close to that 12.9%… you need to remember that future returns are always affected by current valuations and give some thought to what you’re getting for your money in the stock market right now. 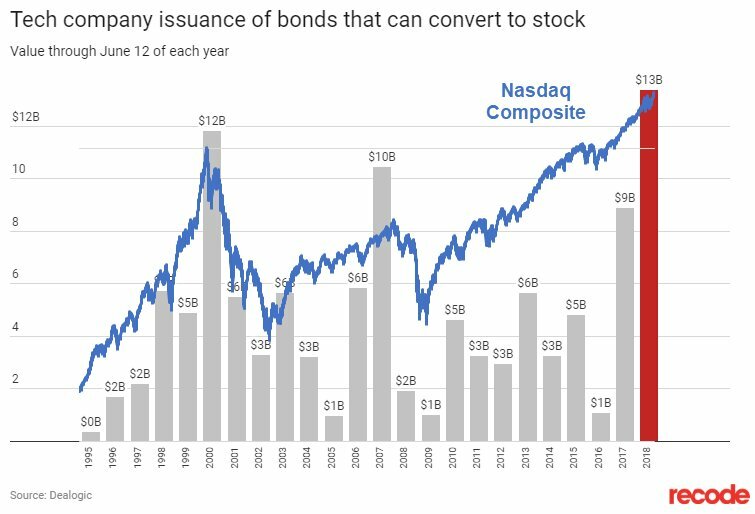 You probably already know that stock market returns from 1999 to 2009 were not very kind to investors. 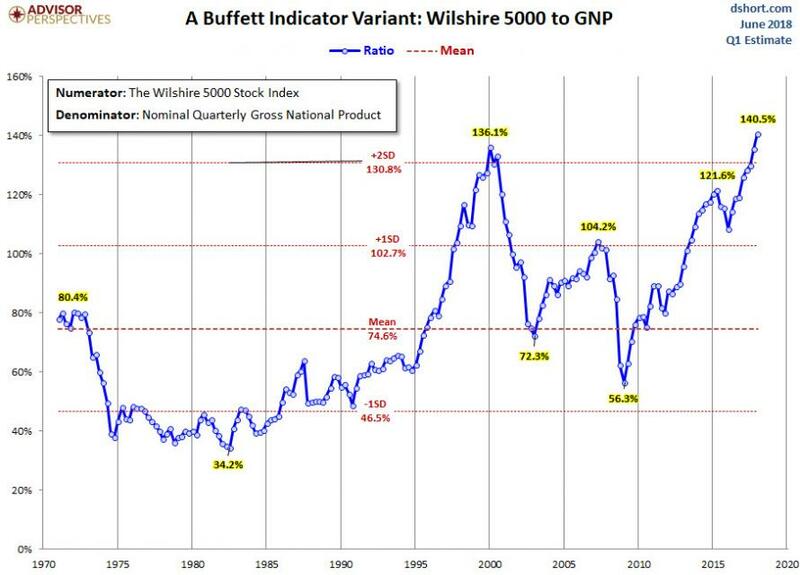 And Buffett tells us how he was so confident that this would be the case. He examined the conditions that allowed for returns to be so wonderful from 1982-1999 but were no longer present in 1999: wonderful valuations. Stocks were so cheap in 1982 that the coming decade was virtually guaranteed to be better than the decade that preceded it. (1972-1982 was another decade that was not fun for investors.) Then in 1999 valuations were so expensive that there was almost no possibility of decent returns going forward. So let’s take a look at Buffett’s favorite valuation yardstick which he refers to on both of those prior writings. It tracks the total value of the stock market in relation to Gross National Product. 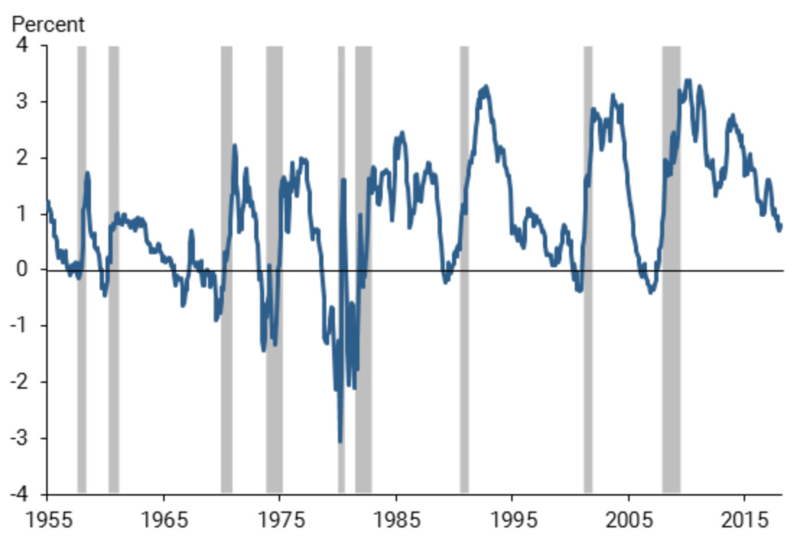 From the chart, it’s plain to see that valuations were extremely attractive back in the early 1980’s. This is why stocks performed so well over the next 20 years. However, I find it absolutely fascinating that stock market valuations today are essentially equivalent to valuations in November 1999 when he wrote that latter passage. Yeah, go back and read that last line again. It’s a doozy and it’s absolutely fact. This is also why the past 5 years or even the past 50 years are totally irrelevant to equity investors in today’s market. There is almost zero possibility today of achieving a return anywhere close to what those historical returns represent. 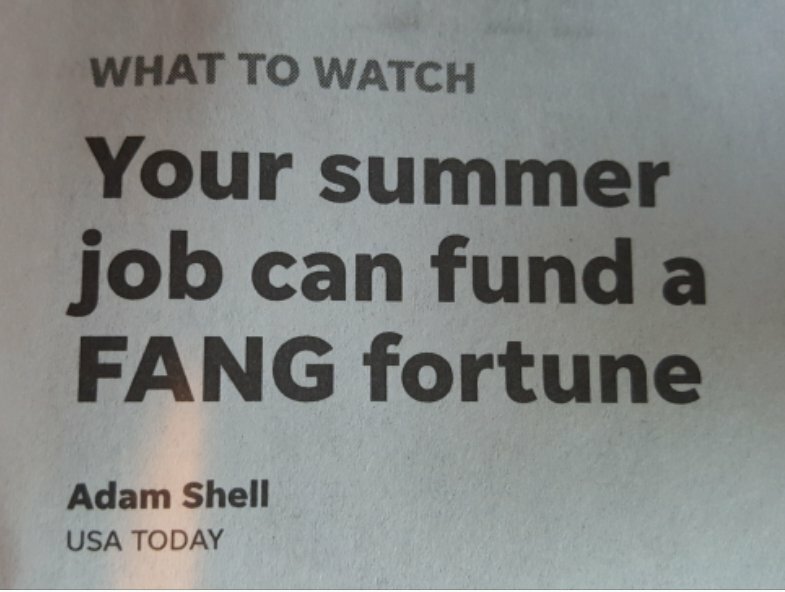 So shun forecasts if you want. Plead ignorance if it makes you feel blissful. But at today’s valuations you should at least be aware of the fact that it’s exceedingly dangerous to fall into the trap of extrapolating without analyzing. 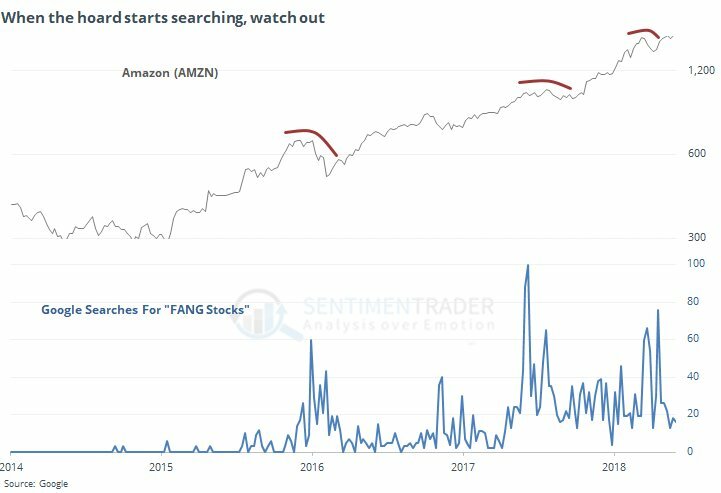 Buy-and-hold, and all of its related strategies like BTFD, garnered a cult following a long time ago and it’s only gotten even more popular in recent years. (There may be no better evidence of this than the StockTwits merch store – which I love, btw). And after one of the longest and strongest equity bull markets in history this should not come as any surprise. Investors are always influenced by recency bias and prone to extrapolation. 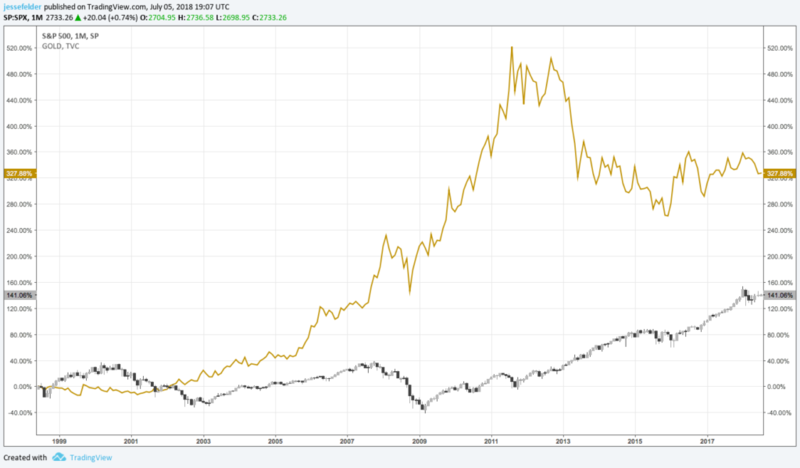 What is surprising, however, is that, despite that fact that it’s long-term (20-year) performance still crushes that of the broad stock market, gold has become so maligned among investors of all stripes, including gold bugs themselves. 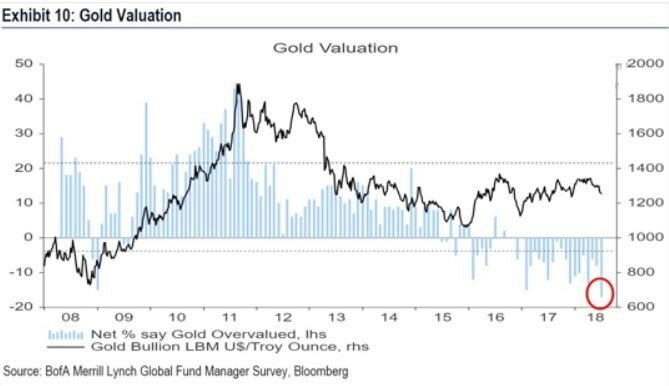 Yes, the past few years have favored equities over precious metals and I guess that’s where the recency bias kicks in again. 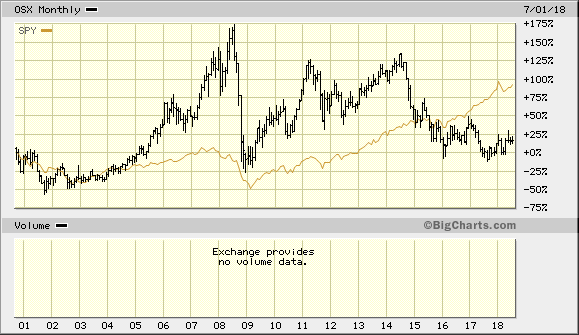 But the truth is it has paid far better to be gold bug over the past two decades than to be an equity bull. The point being to understand your time preference and time reference! The setup: Gold bugs totally demoralized. 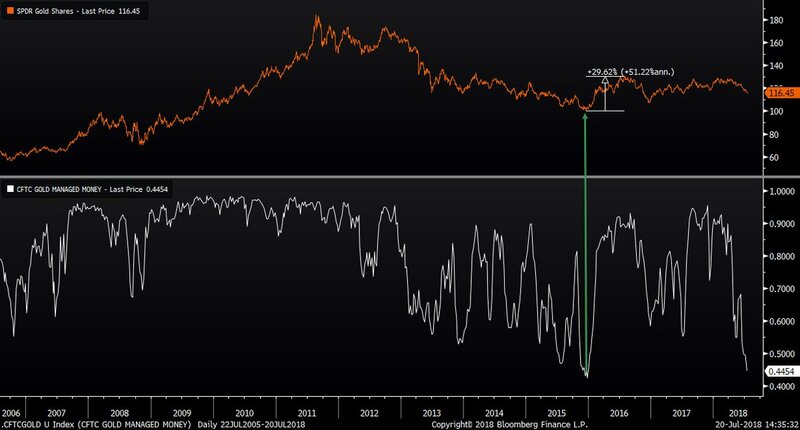 Gold sentiment(DSI)down to just 7% with extreme dollar bullishness(92% DSI). Trump beginning to talk $ down (will continue). FY ’19 $1T+ budget deficit. 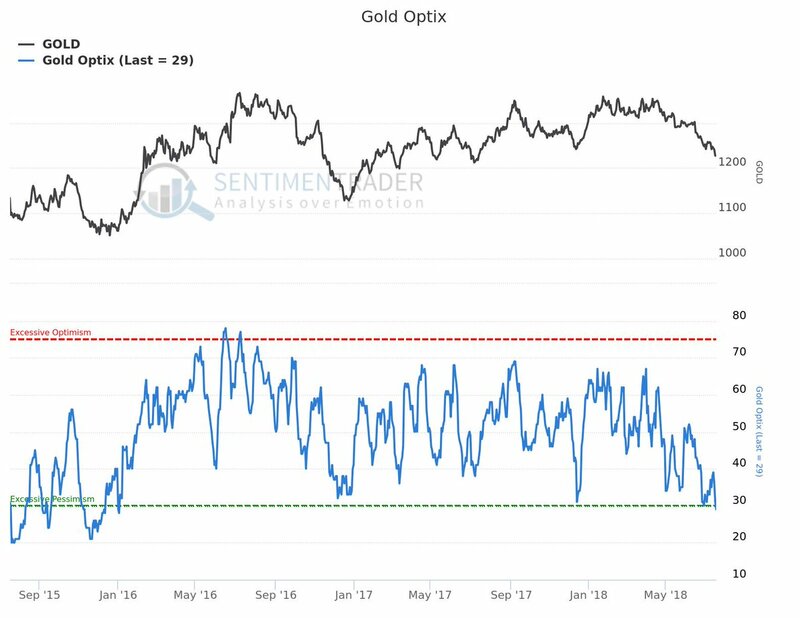 Gold seasonal demand (starts now). 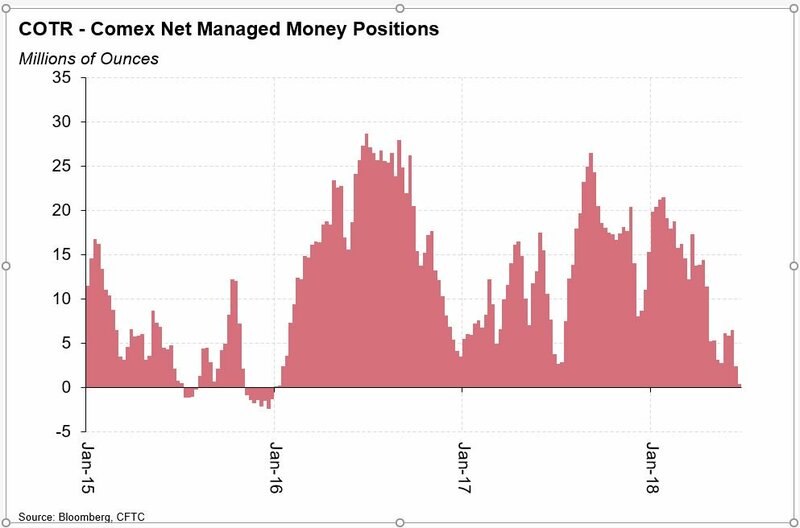 Managed Money (hedge funds) net short& have to cover. It’s likely these are record level shorts. 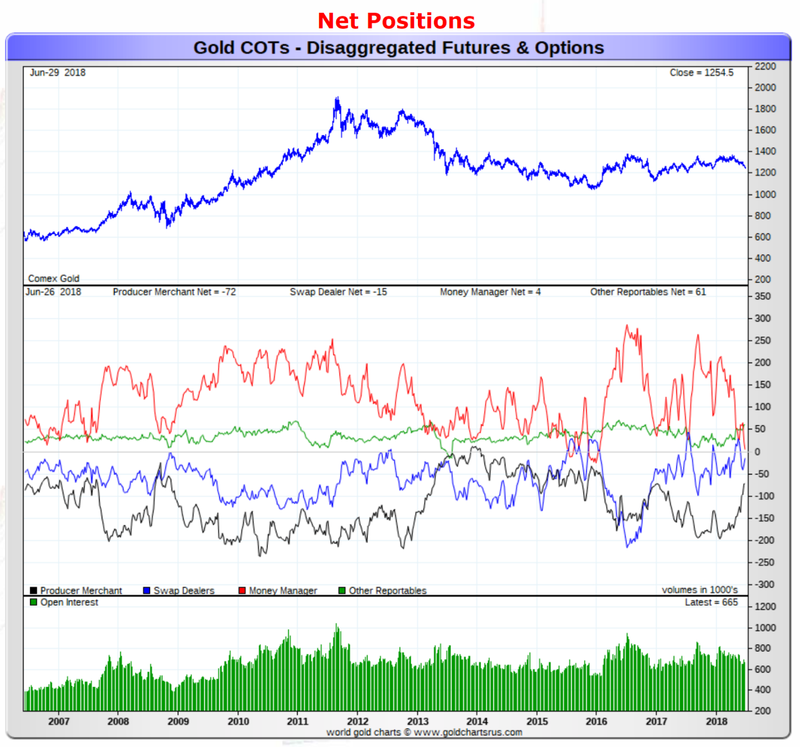 That means there are more shorts than at the bottom in late-2015 – before gold exploded 30% & miners +160% in 6 months and more shorts than at late-2008 bottom before gold soared over 75% in 1 year. 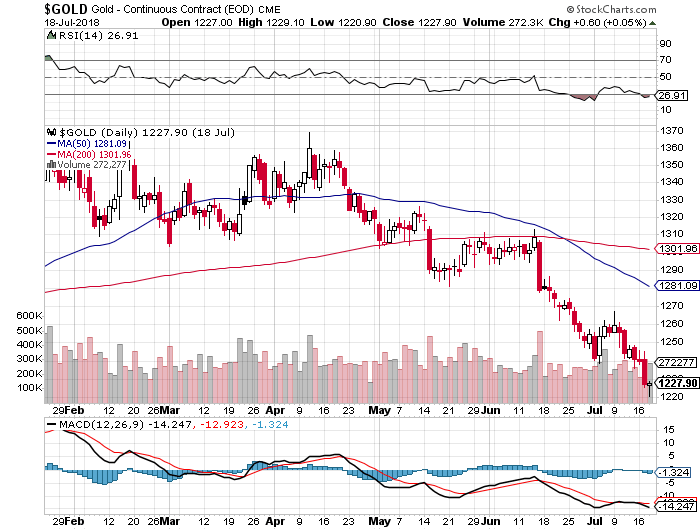 Perfect setup-assuming gold’s bottomed. Whoa Nelly! 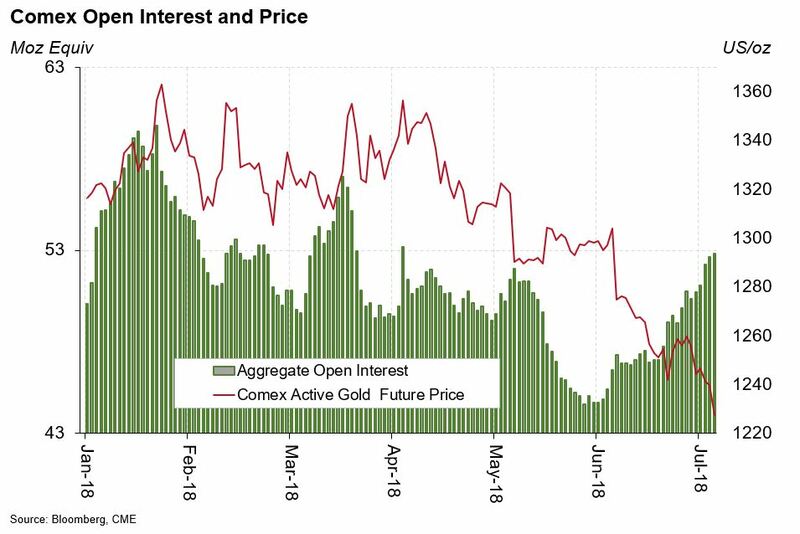 Just as I suspected it was short traders driving gold down. Thru Tuesday (likely even worse now), a slight increase in longs& another massive 27.7K jump in large spec. futures shorts. In past 5 weeks +121% jump in short contracts to 161K -highest level in at least 11yrs. BUT, ALWAYS STUDY THE OTHER SIDE–GOLD TO KEEP FALLING. I am on my knees buying gold/silver/uranium miners with both hand this prior week (ouch!). 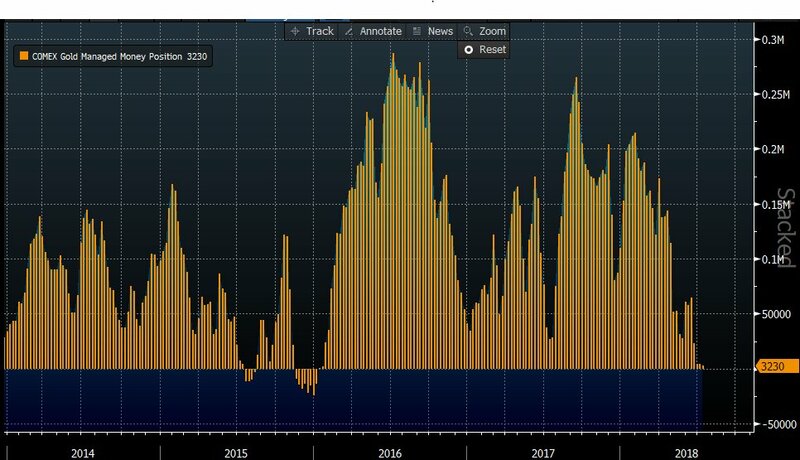 Since the chart of the futures positions (COTS) is now more extreme–money managers are probably short now like back at end 2015/beginning 2016. I use the blog as a diary/bulletin board on occasion. I hate miners as a business but love the values. 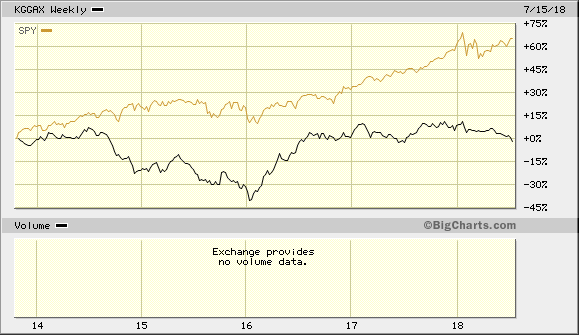 Note the vast underperformance of hard (read: miners) vs. financial assets (SPY). Not a recommendation, just a “diary” post. Buying resource stocks has nearly nothing to do with the commodity. And near zero to do with management or country risk or interest rates or the dollar or what the DOW is doing. Those who are always wrong about markets spend a lot of time mumbling about all those things and they are just wasting ink. Unbeknownst to GATA or the other PermaBulls who believe some munchkin at the Federal Reserve pulls the levers all of the time, markets go up and markets go down. They all do and they do it constantly. So if someone is telling you silver is the rarest mineral known to mankind and it should go up everyday of the week, forever, he’s lying to you in order to get you to pay for a subscription to his service. In short he’s like a bible thumping preacher or politician, he wants your support, and he specializes in telling you the lies you want to hear. 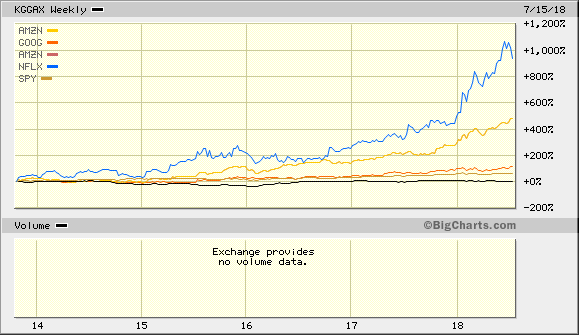 During the bull phase of the metals markets even the biggest piece of crap stocks go up. 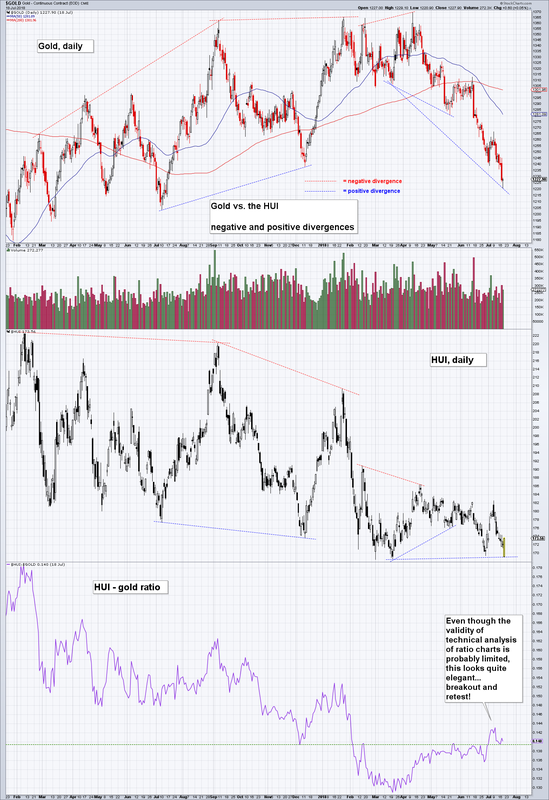 During the eventual bear phase of the metals markets even the best run with the most desired commodity in the safest jurisdiction goes down. So investors in junior resource stocks need to keep two things in mind. You have to trade markets and take a profit when you can or the only alternative is to take a loss. I have had hundreds of investors tell me their biggest mistake was not taking a profit when they could. And given that something like 95% of investors in junior lottery tickets lose money, sell when you can, not when you have to. You need to align yourself with the phase of the market you are in and let the wind be on your back. 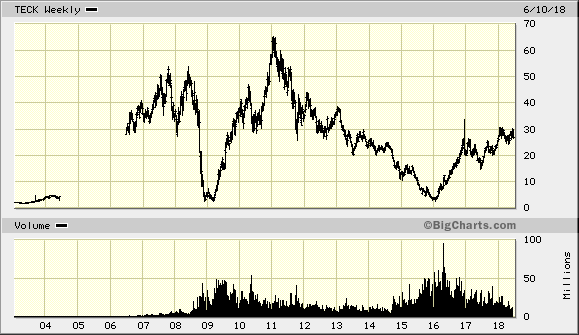 We had major lows in 2001 in gold and silver, again in 2008 and late in 2015. Don’t try to second-guess the market. 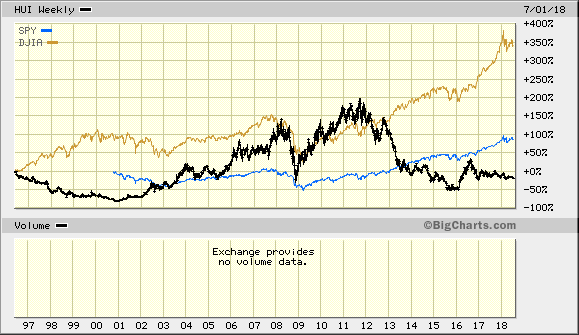 If you were a buyer of anything from 2001 until 2008 you had a wonderful opportunity to profit. 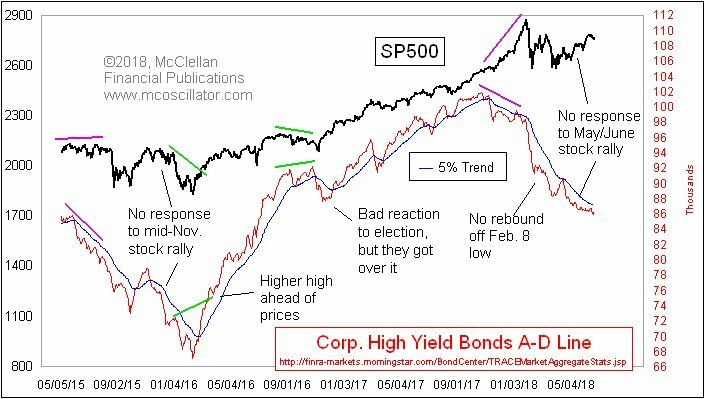 If you bought in 2009 or 2016, it was like shooting fish in a barrel. If you didn’t sell in March of 2008 or September of 2011, you got creamed regardless of the merits of the project or company. The phase of the market will either put money in your pocket or extract it regardless of what anyone says about a company. From: CSInvesting: I have no affiliation with Grants Publication whatsoever, but I am a fan of his work. 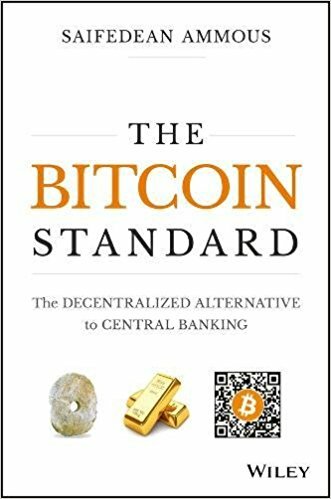 I post this because if you want access to an incredible library of the past 35 years of financial history, then this is your chance. If you pay $349, ignoring the book and the six future issues, you have access to two issues per month from the past 35 years or about 840 issues at 42 cents per issue. Besides financial data, there are excellent case studies of valuation and financial euphoria/despair. The new edition of Grant’s Interest Rate Observer features a hard look at a zooming stock. 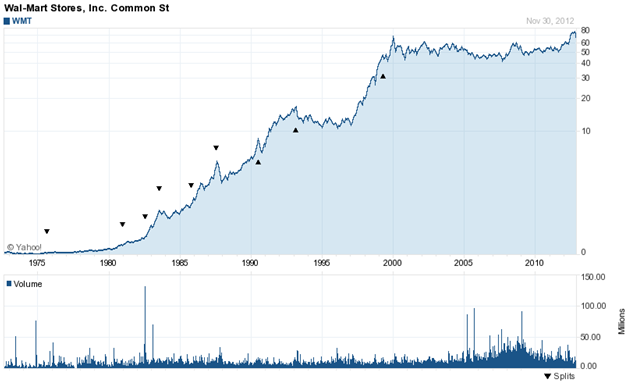 The company behind the stock is widely appraised as one of the century’s greatest. Grant’s begs to disagree with that consensus view, as is our wont. Who or what might bring this shooting star down to earth? Subscribers are also reading about. . .
–the newly crowned holder of the dubious title of America’s most indebted nonfinancial corporation. Would you buy these bonds? Your insurance company probably is. –one of the few North American industries where value–and bearishness–abounds. –a pair of struggling foreign debt collectors who may soon be getting a taste of their own bitter corporate medicine. –a certain Asian behemoth which has managed to spawn a money supply nearly as large as that of America and the eurozone combined. All this, plus an inspiring Fourth of July quotation by Thomas Jefferson, awaits you. Sign up today for a trial subscription: six issues, access to the 35-year Grant’s archive and a signed copy of Jim Grant’s latest book, “The Forgotten Depression: 1921, The Crash That Cured Itself,” winner of the 2015 Hayek Prize, all for just $349 ($359 outside U.S. and Canada). Click Here to begin a six-issue Trial Subscription to GRANT’S. This offer ends MONDAY, July 2, 2018. Up close and personal interview with Kevin Clayton, CEO of Clayton Homes, the largest factory built homebuilder in the United States and a wholly owned subsidiary of Warren Buffett’s Berkshire Hathaway. For nearly one hour, author Robert Miles interviews Kevin Clayton and covers all aspects of the business from getting started, to taking over from his father, and to selling to Warren Buffett. This video may help the viewer understand the qualitative aspects that Warren Buffett may consider when making an investment. This interview may also showcase one of the eventual successors to Warren Buffett. From Best to Worst. There are typically two ways to make 100 to 1 on your money. 1. The preferred way–in my view because the company has more control of its destiny–would be to invest early in a high ROIC company that can redeploy capital at high rates for MANY years. Note how the chart has gone sideways for 18 years as the ability to redeploy at high rates has declined. WMT can’t grow with regional economies of scale in Germany as it could in Arkansas back in 1965. You have to hold on through the inevitable 50% price plunges which you are able to do because of your understanding of the company’s competitive edge in the market. 2. Or, you find an extremely cheap, beaten-up cyclical company (TECK) in an industry that has had low capital investment, then hold on for the boom which you then sell out at the top–harder and more nerve-wracking than the example above. The worst performing sectors are where you want to look, but realize that some industries like phone companies may be under structural change. I haven’t had a chance to read the above, but a reader shared them. Let me know if useful.